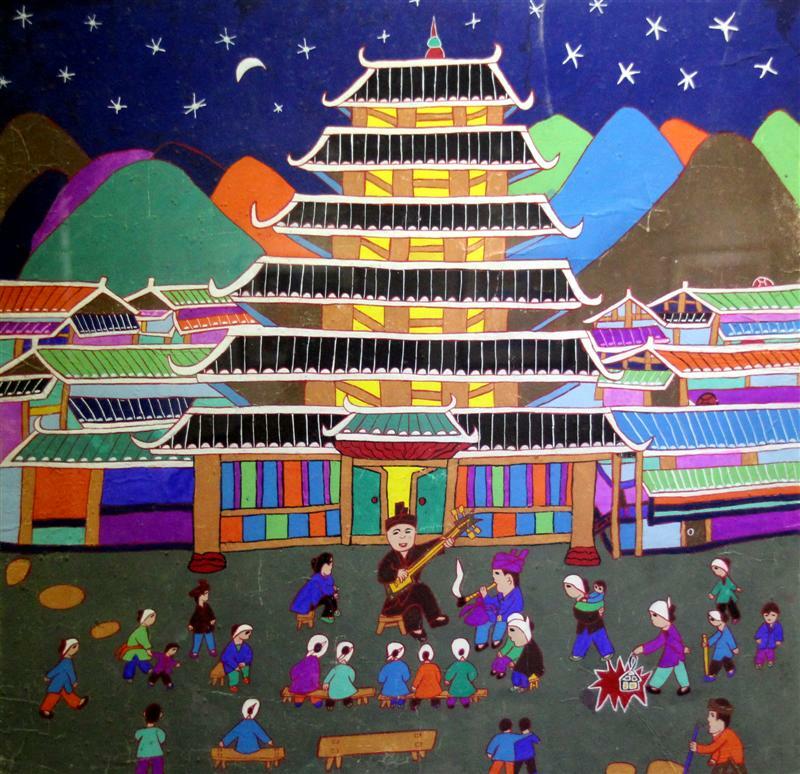 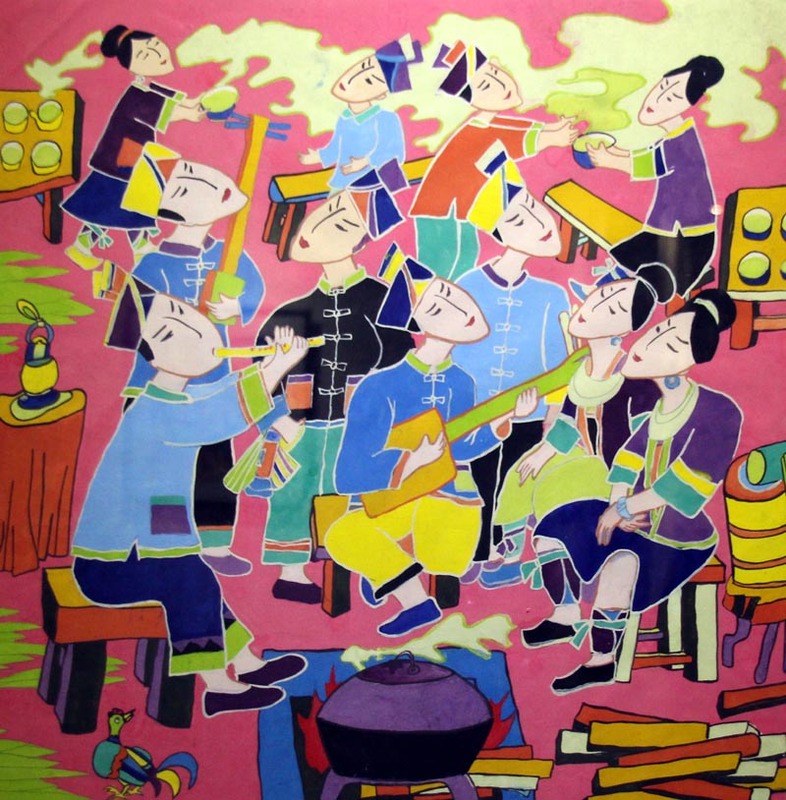 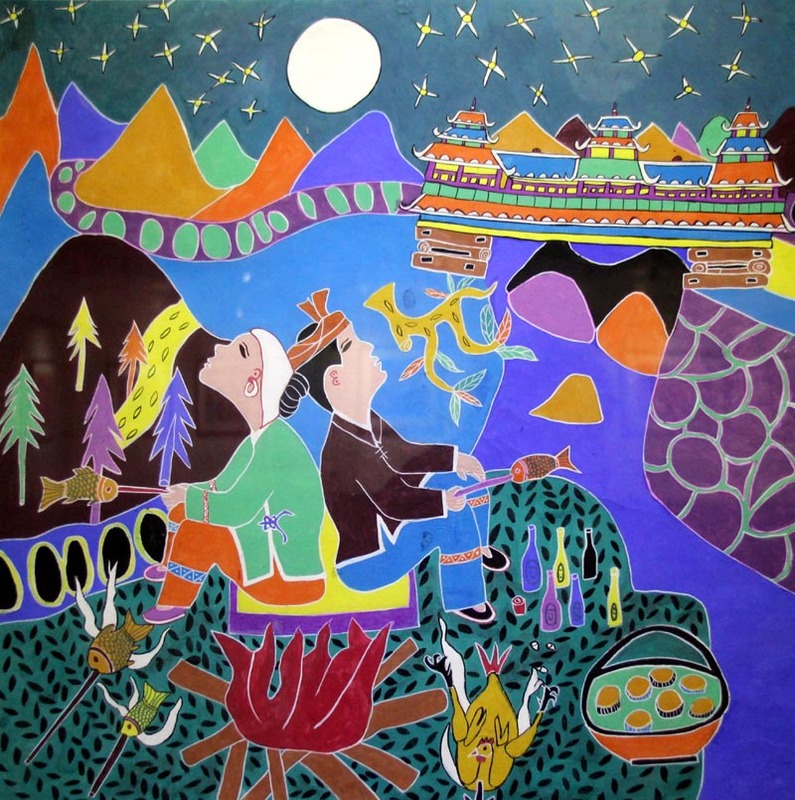 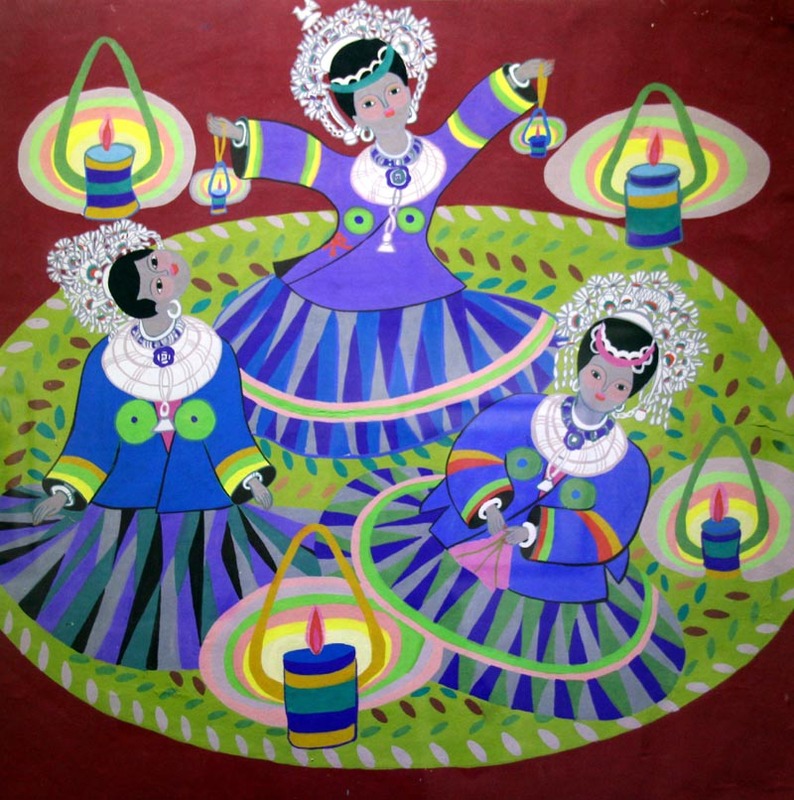 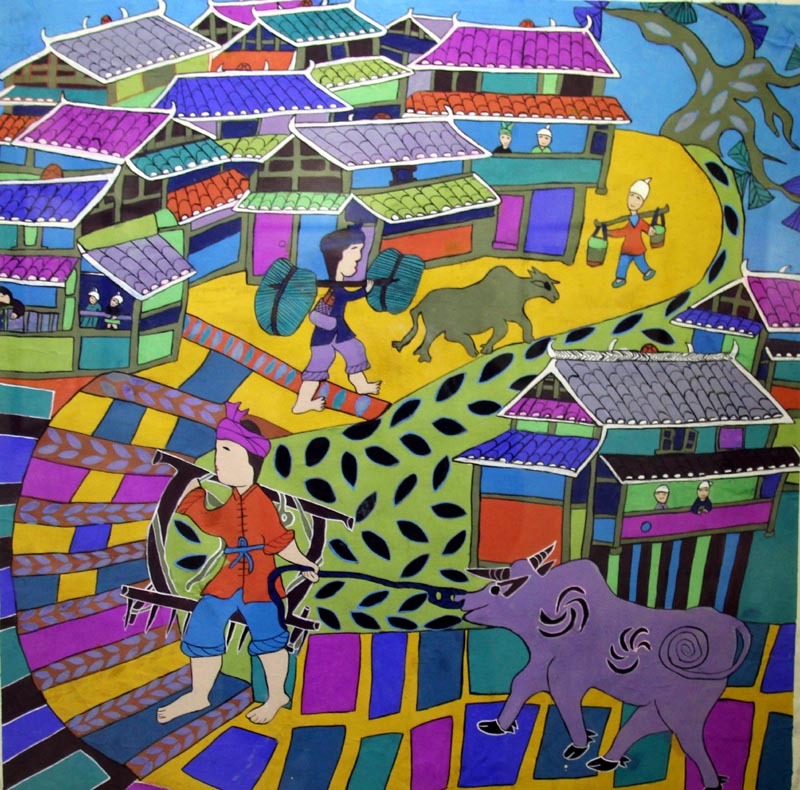 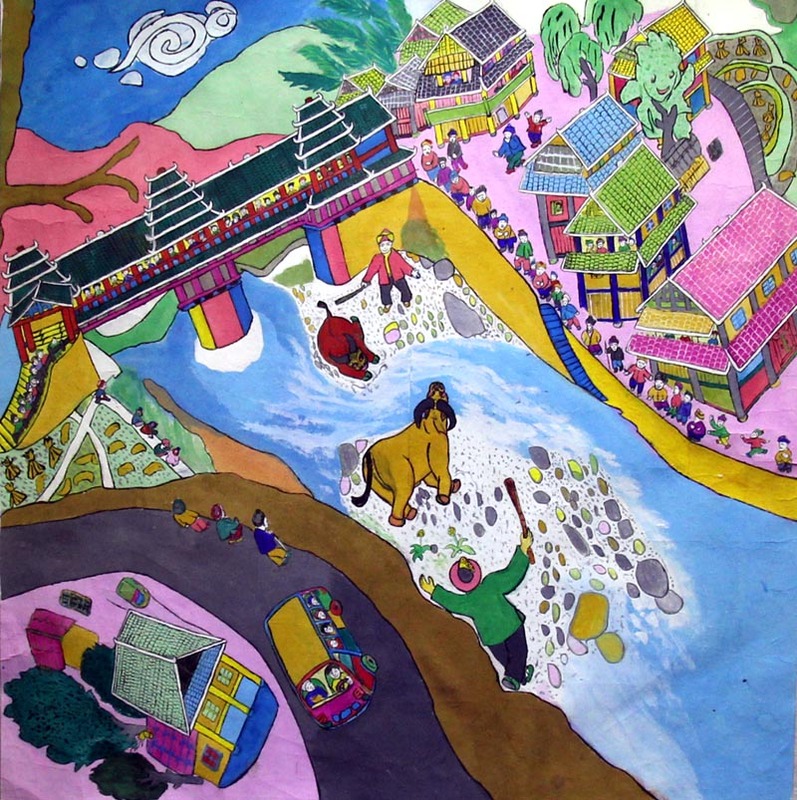 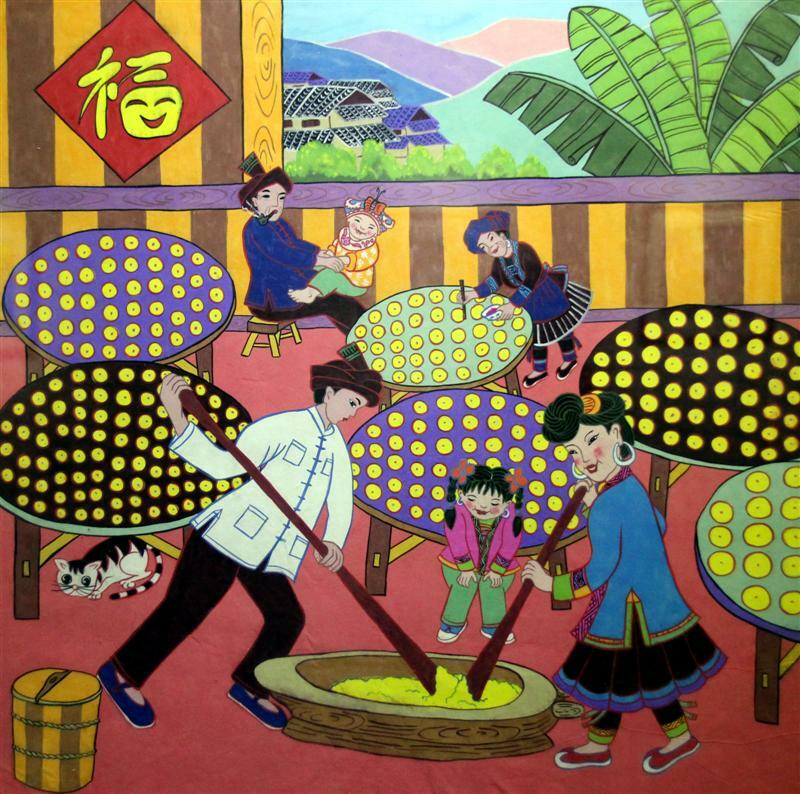 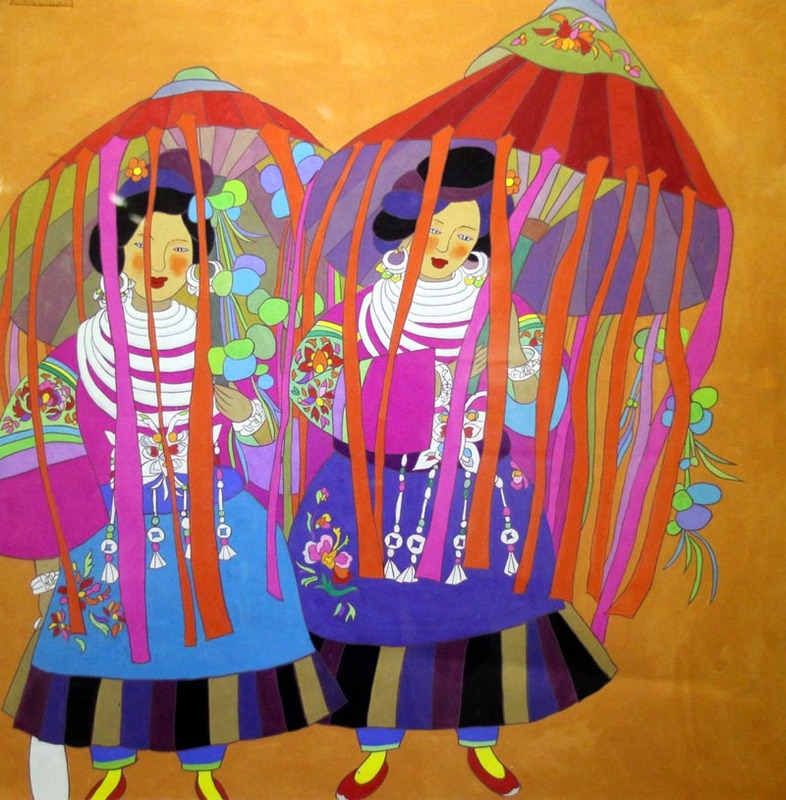 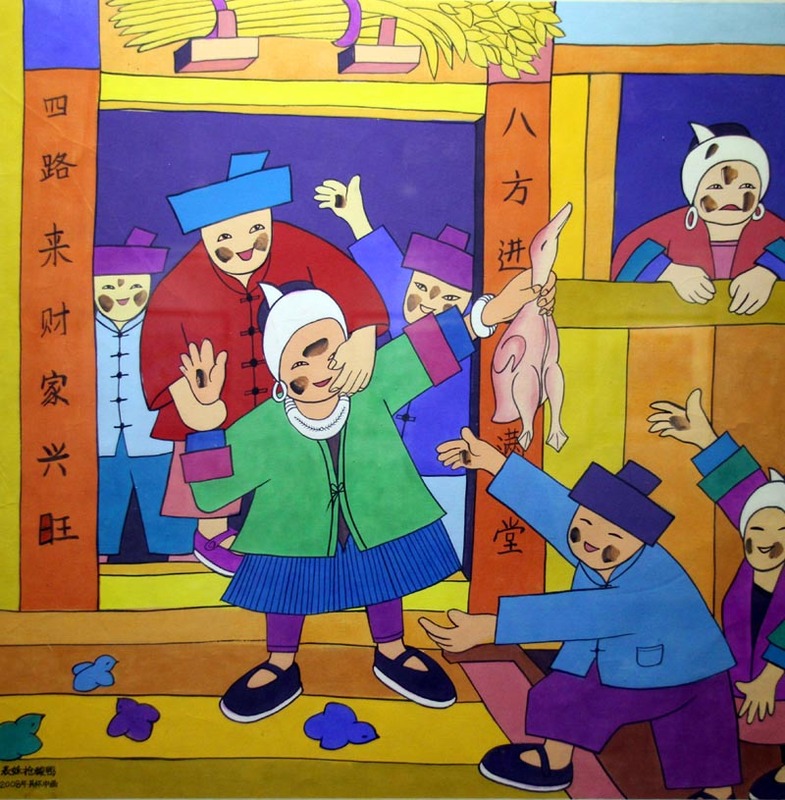 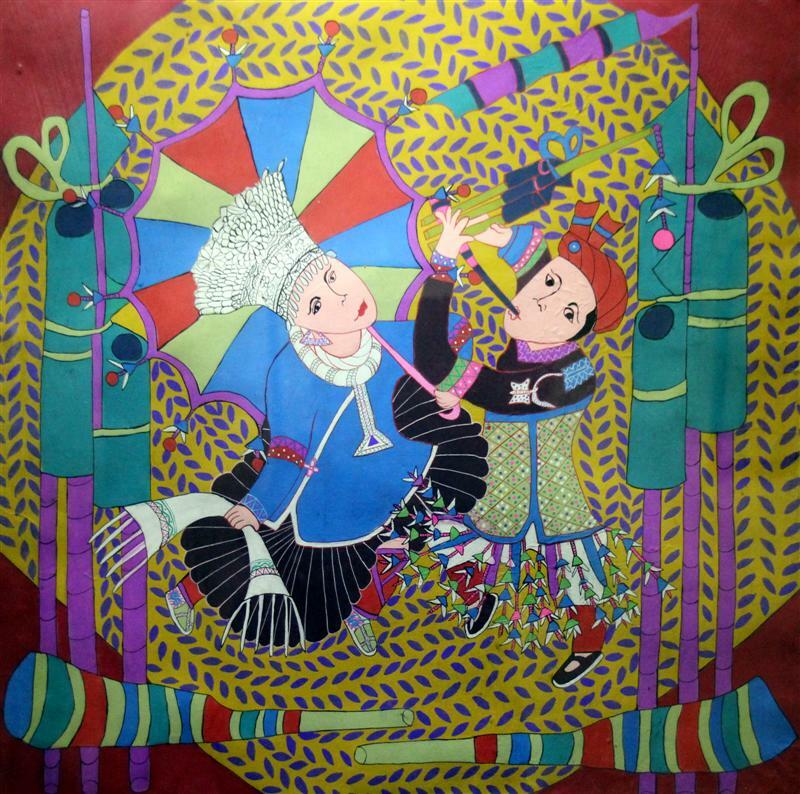 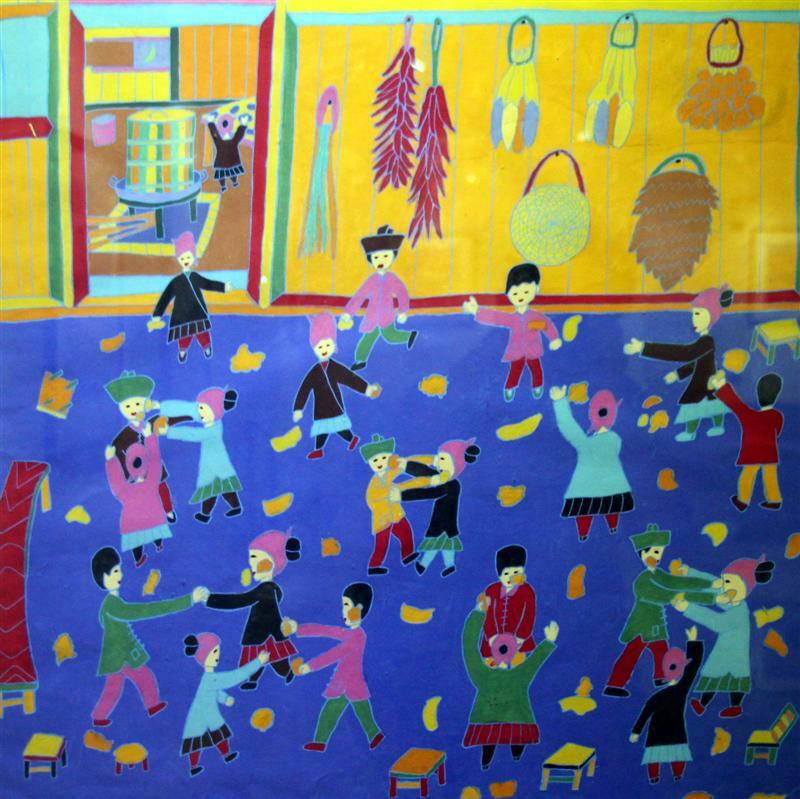 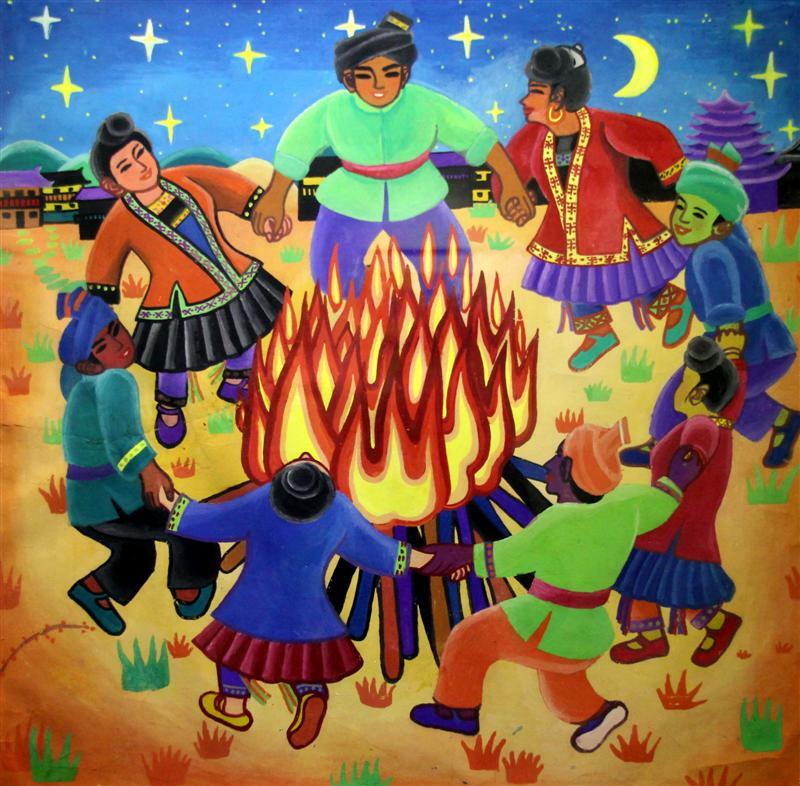 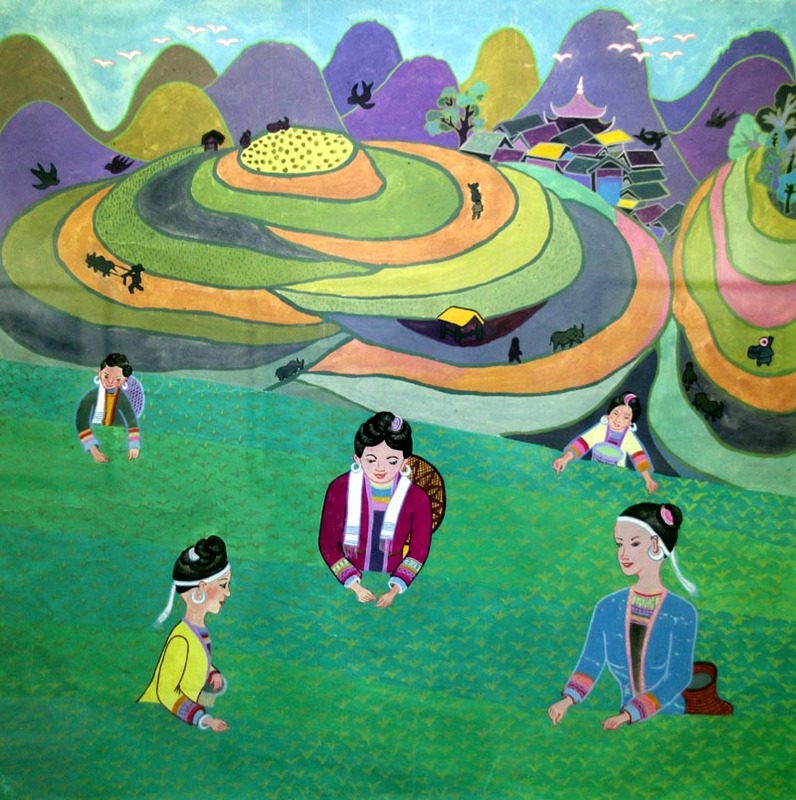 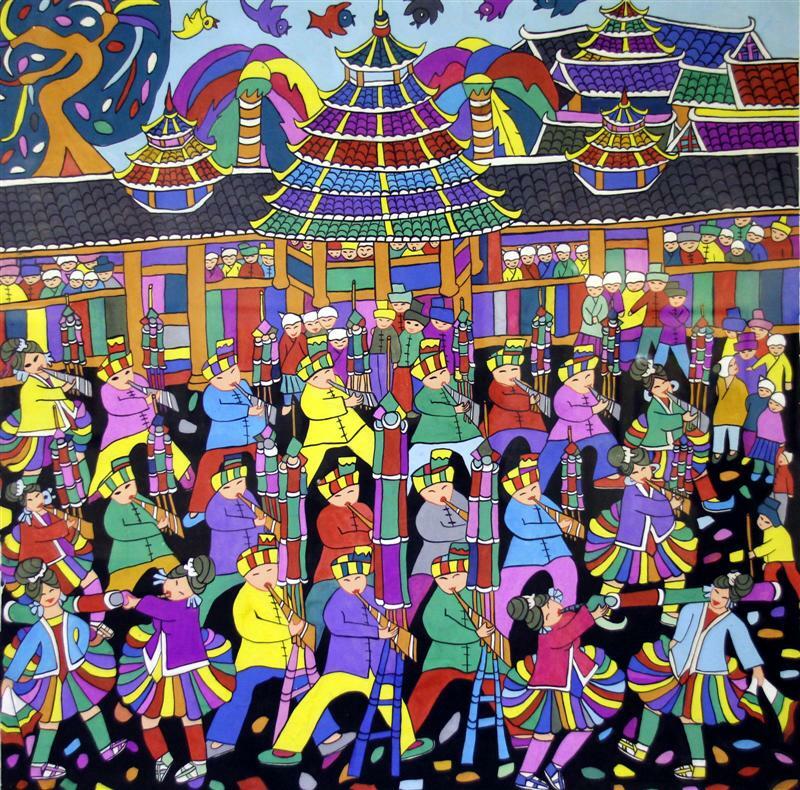 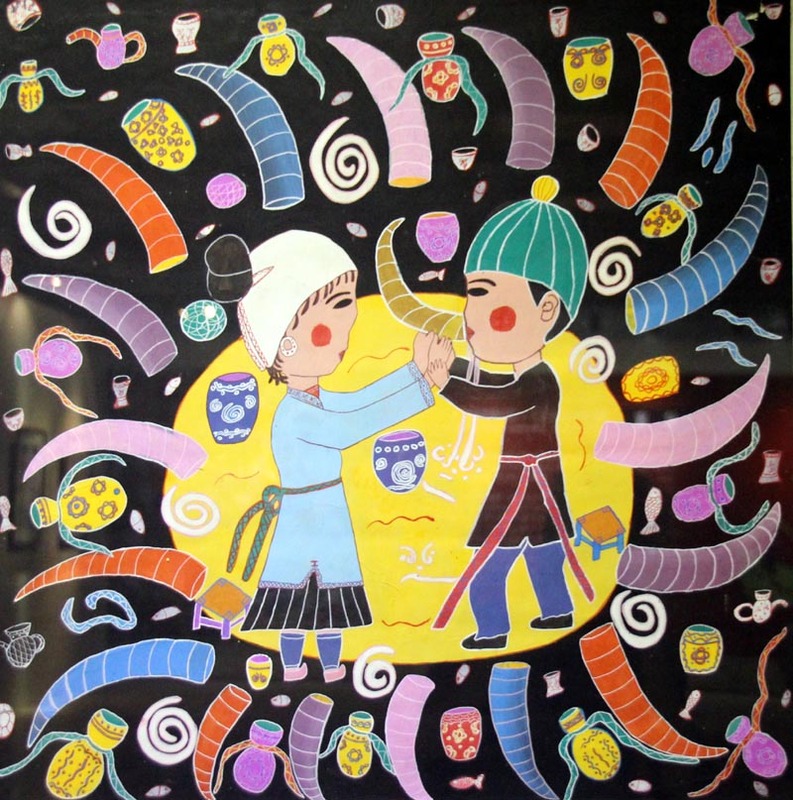 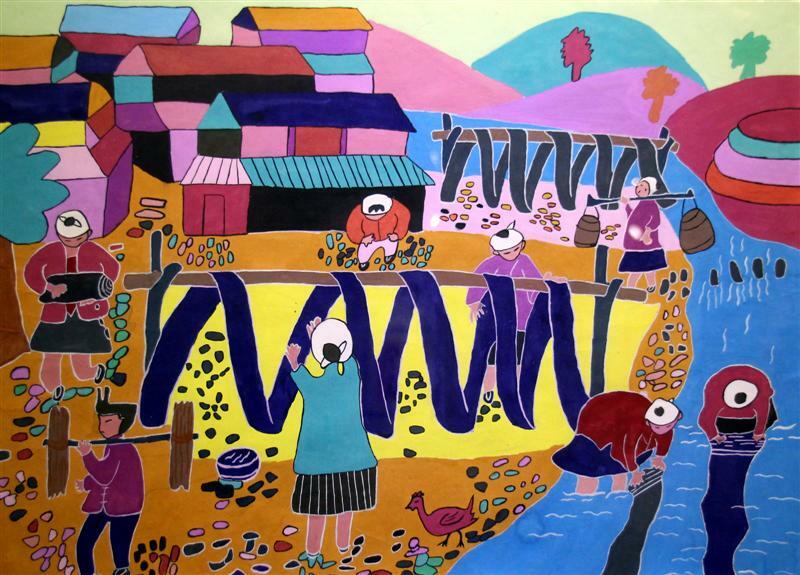 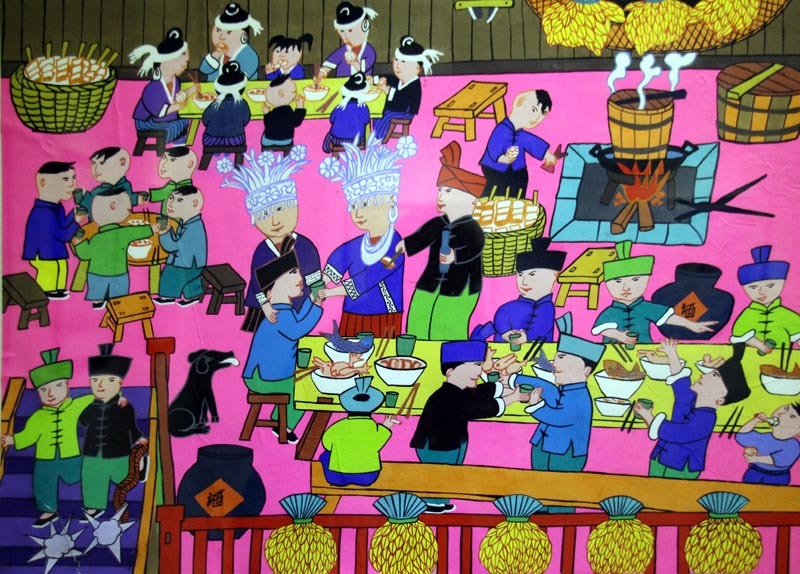 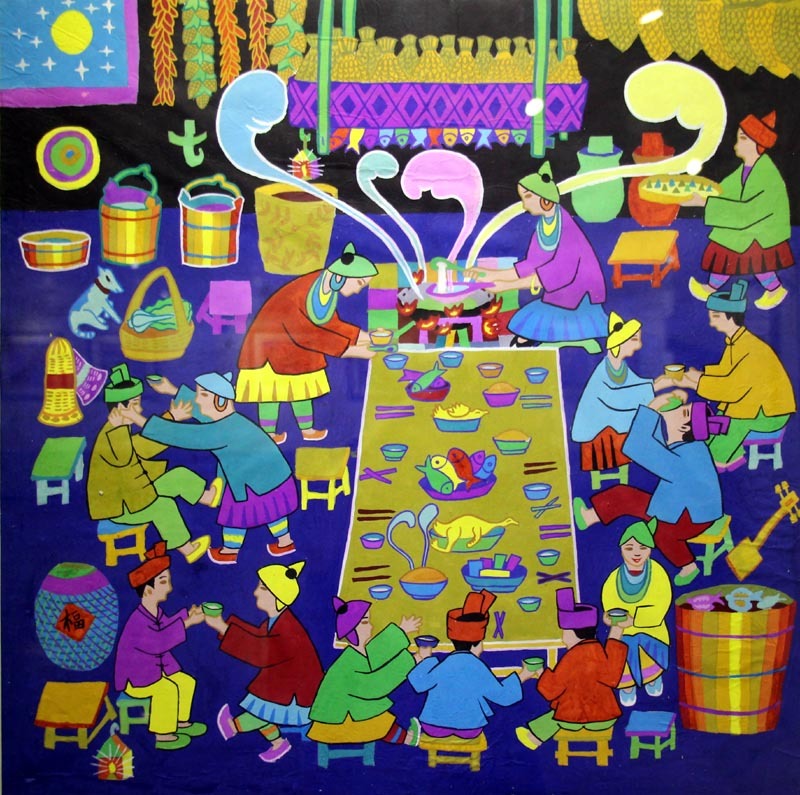 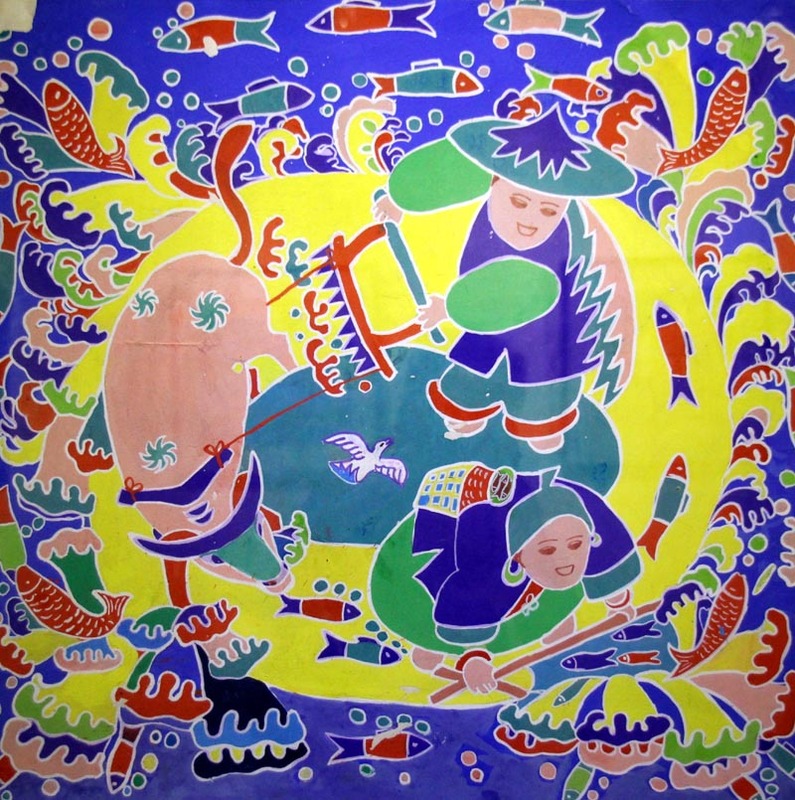 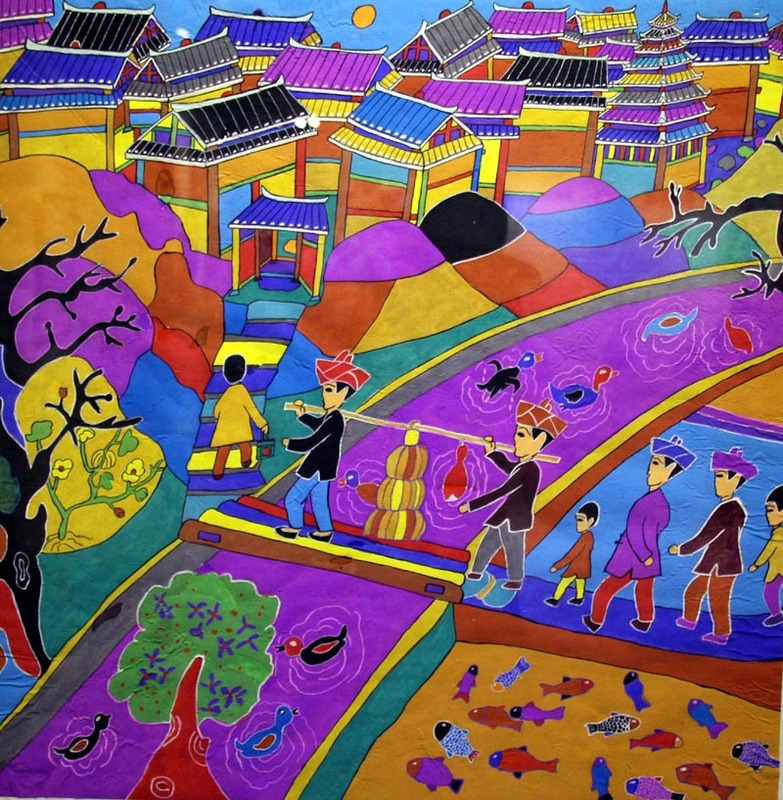 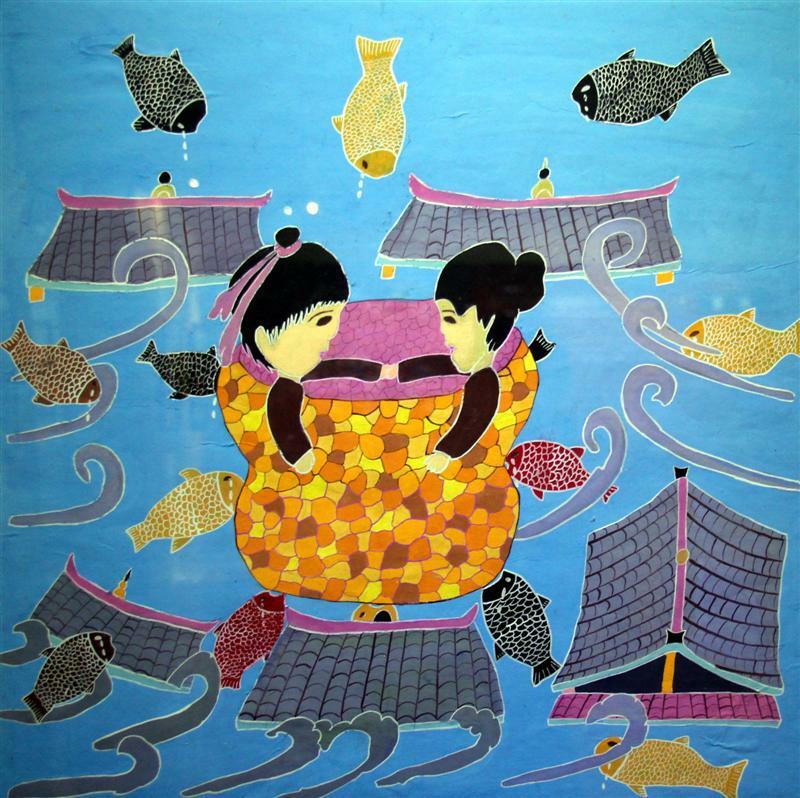 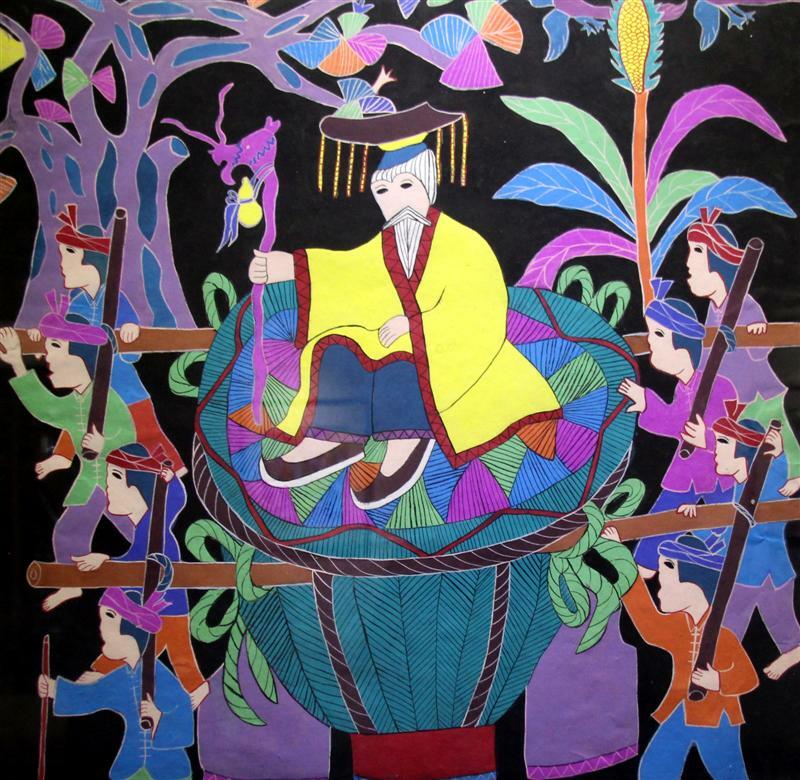 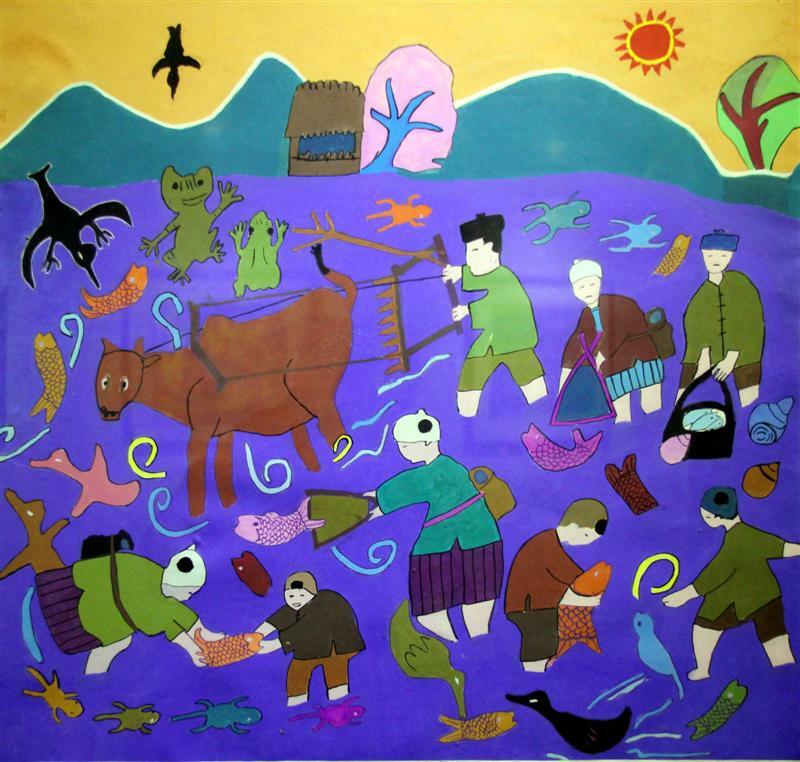 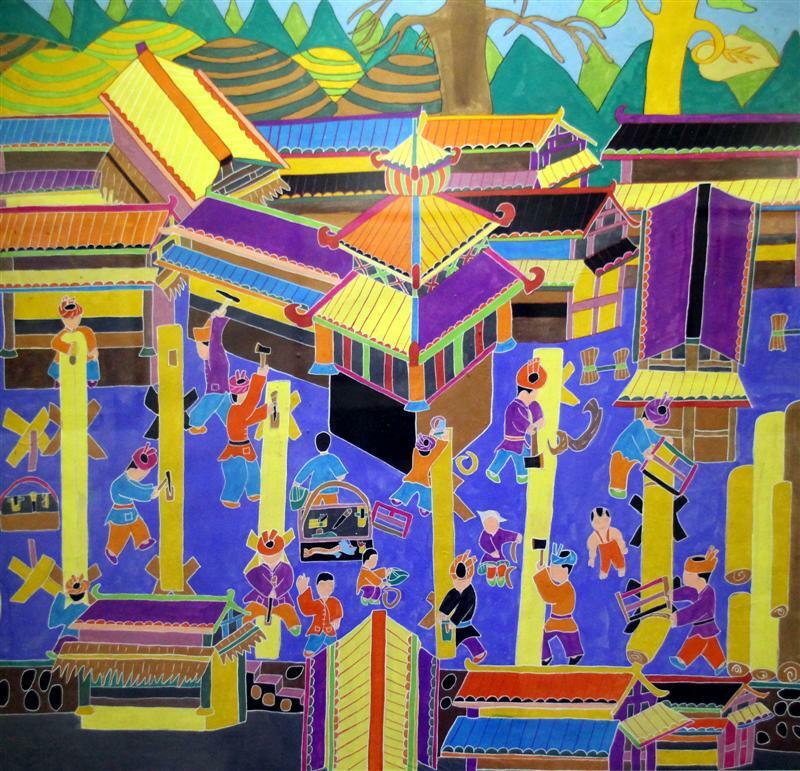 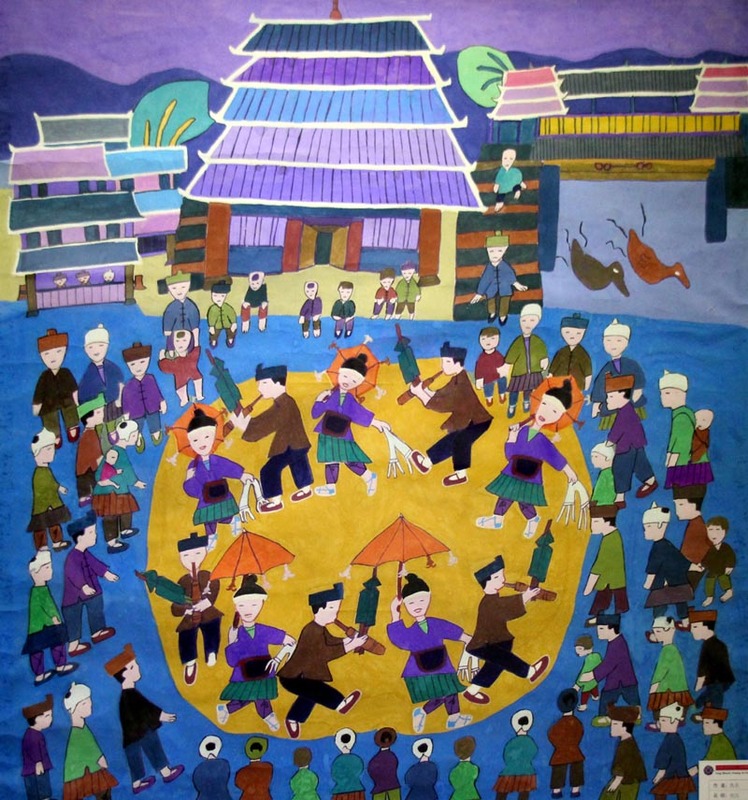 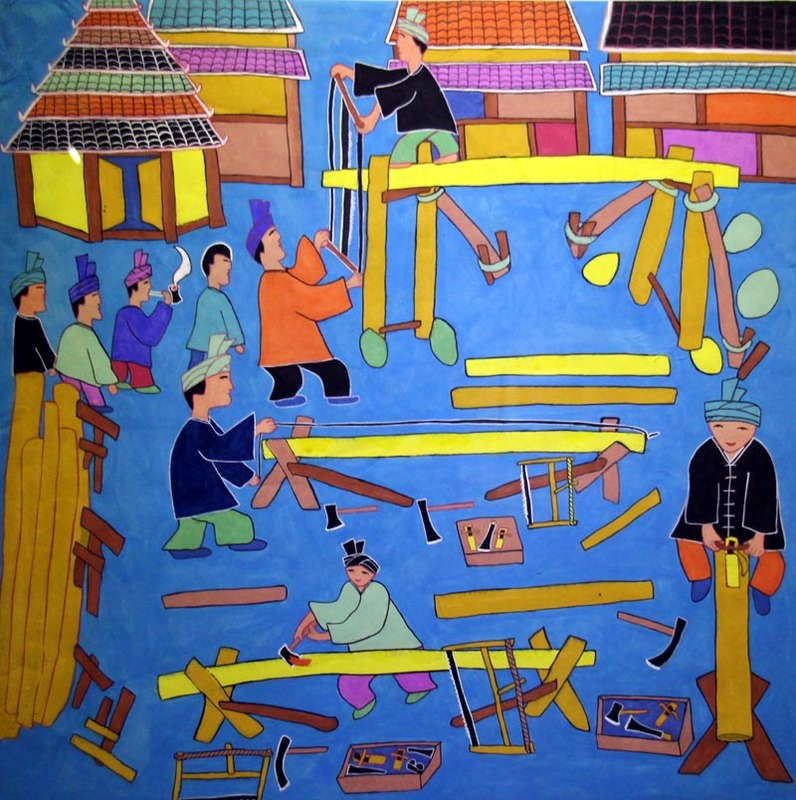 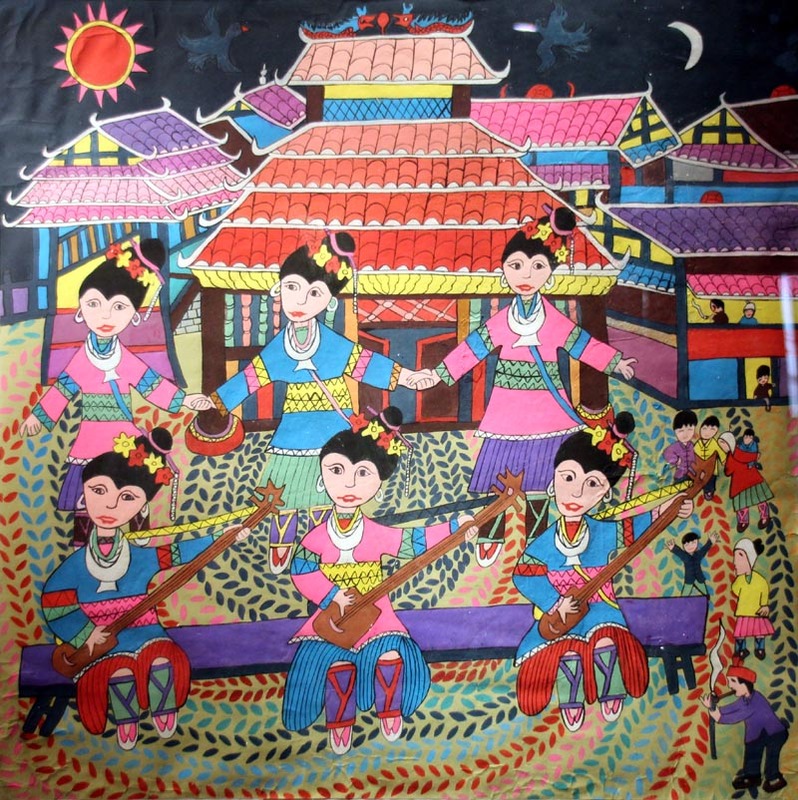 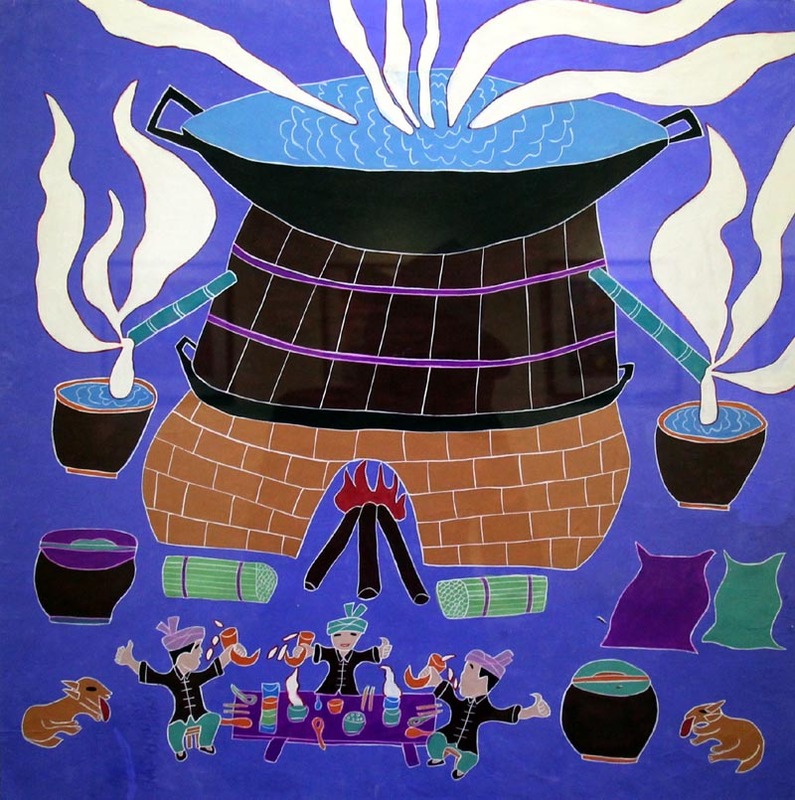 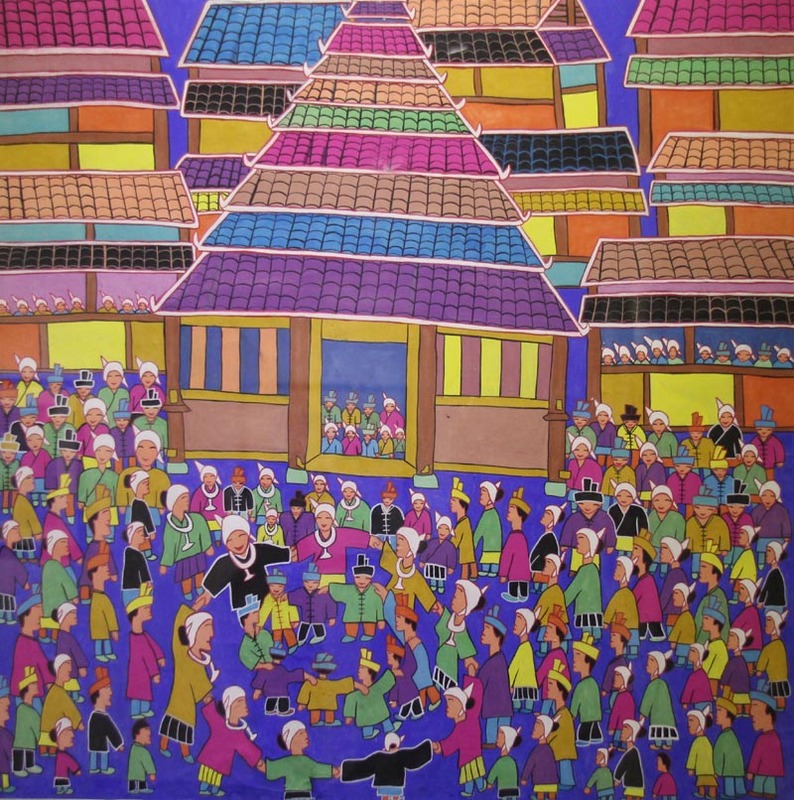 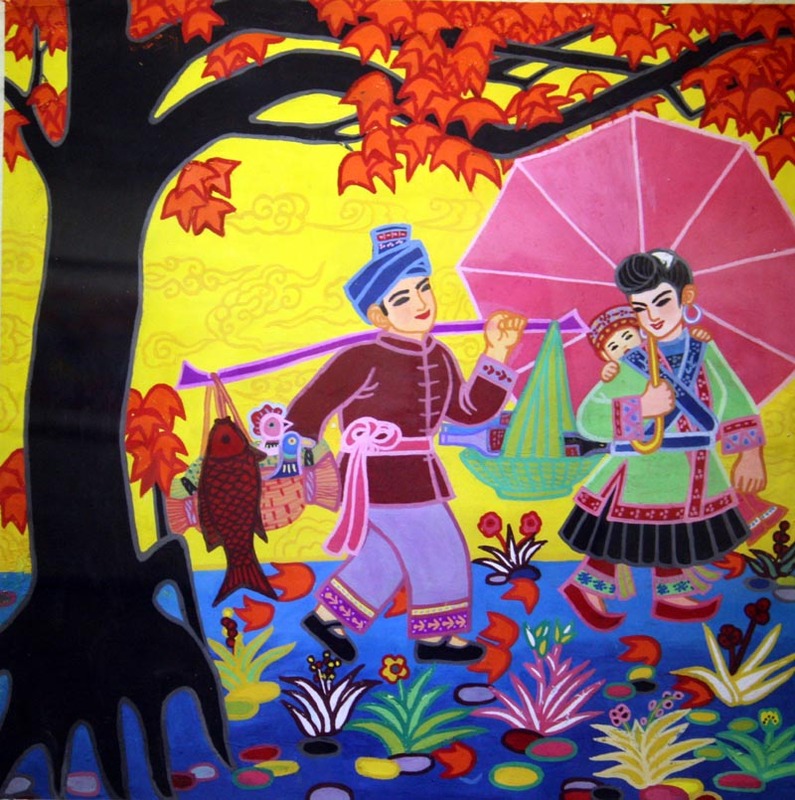 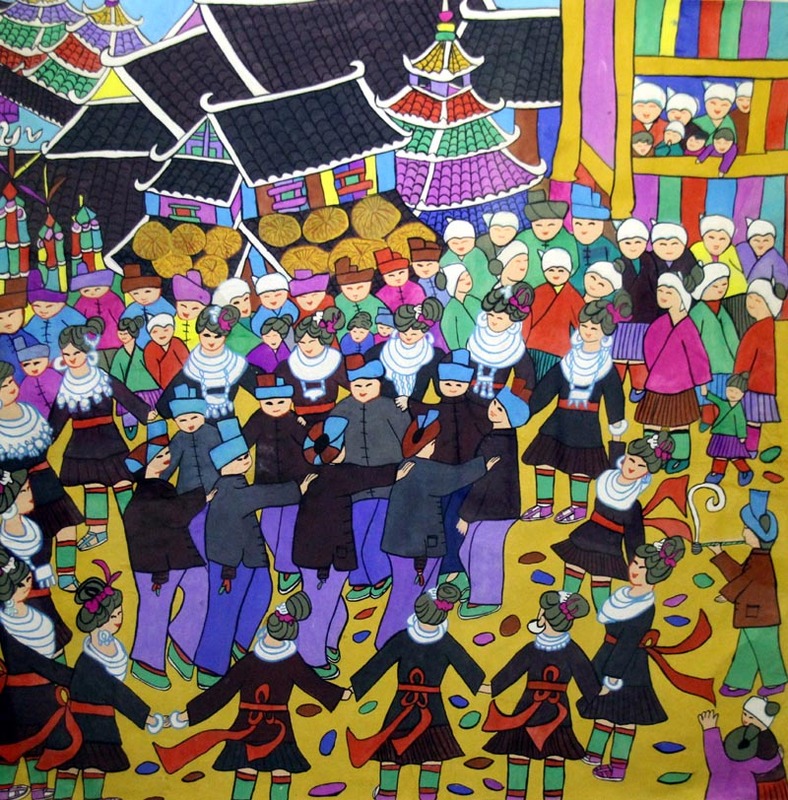 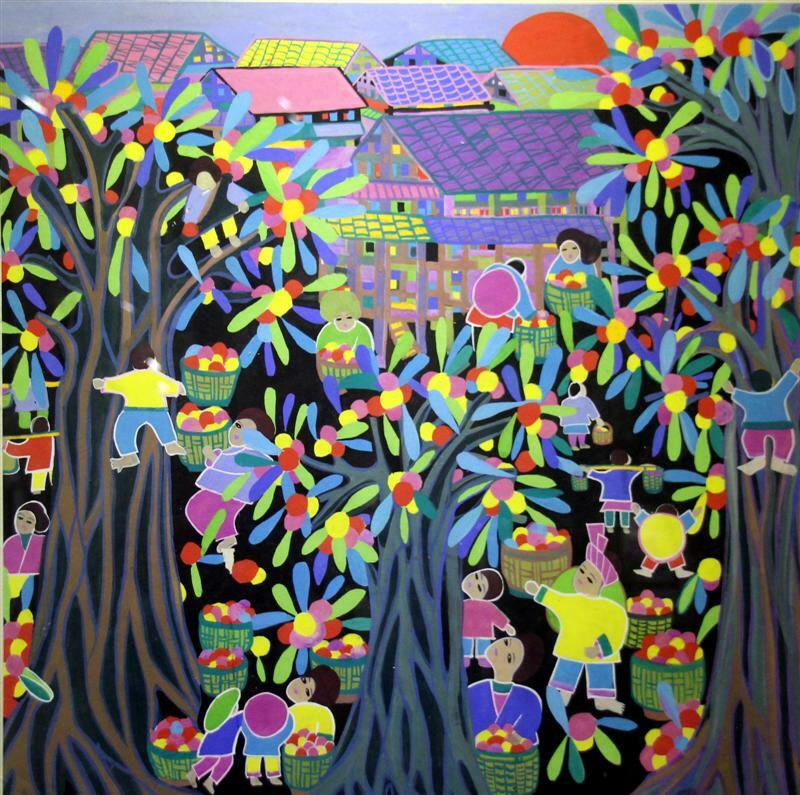 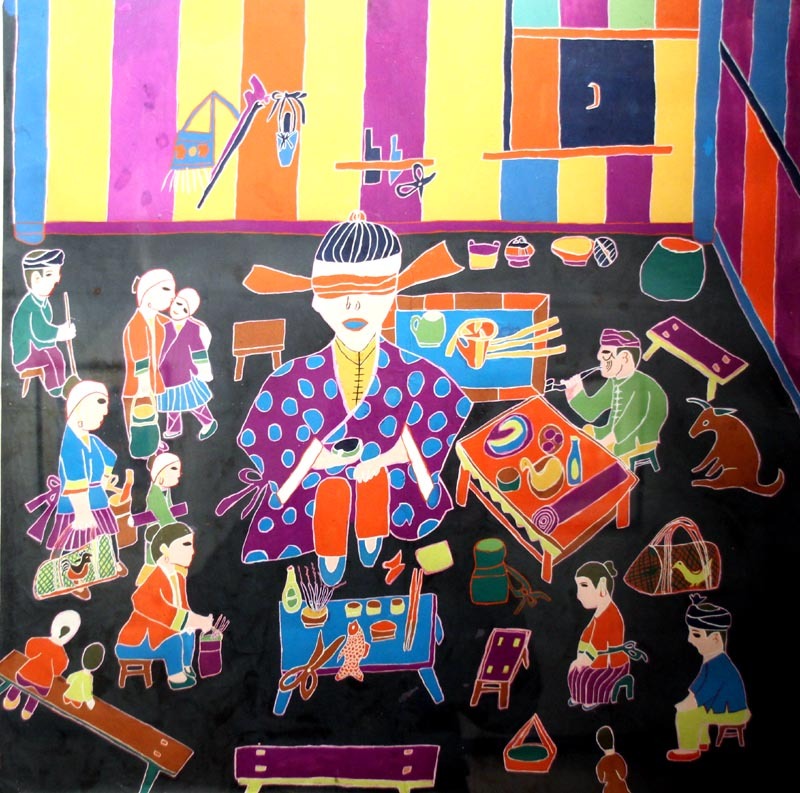 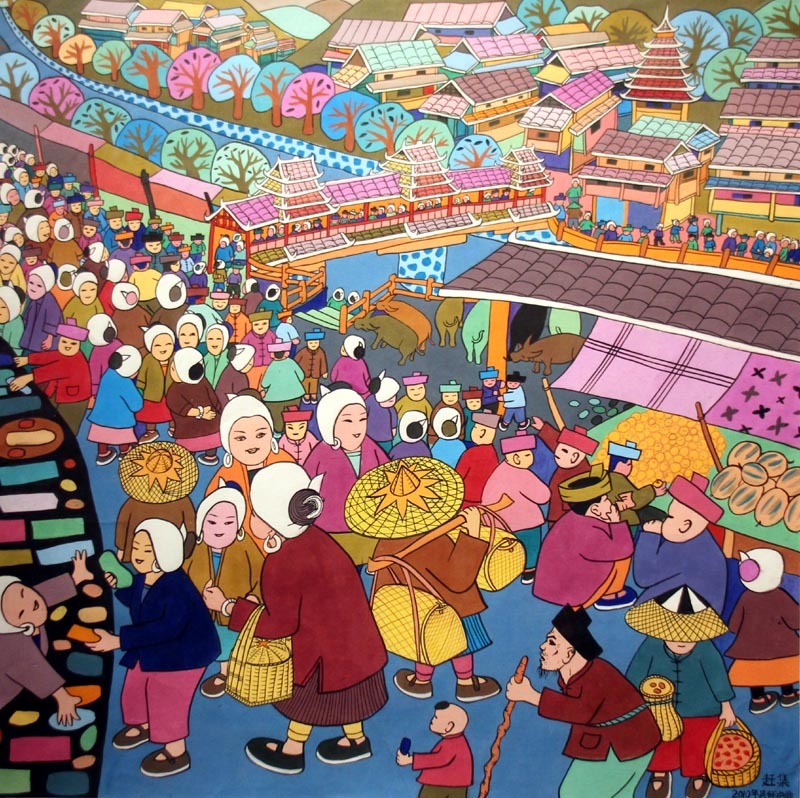 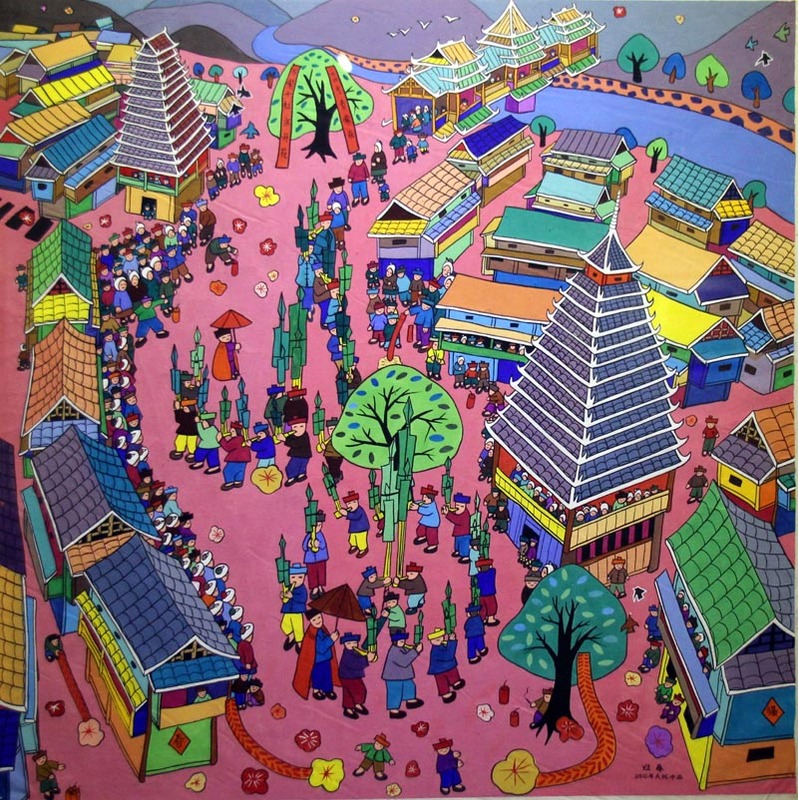 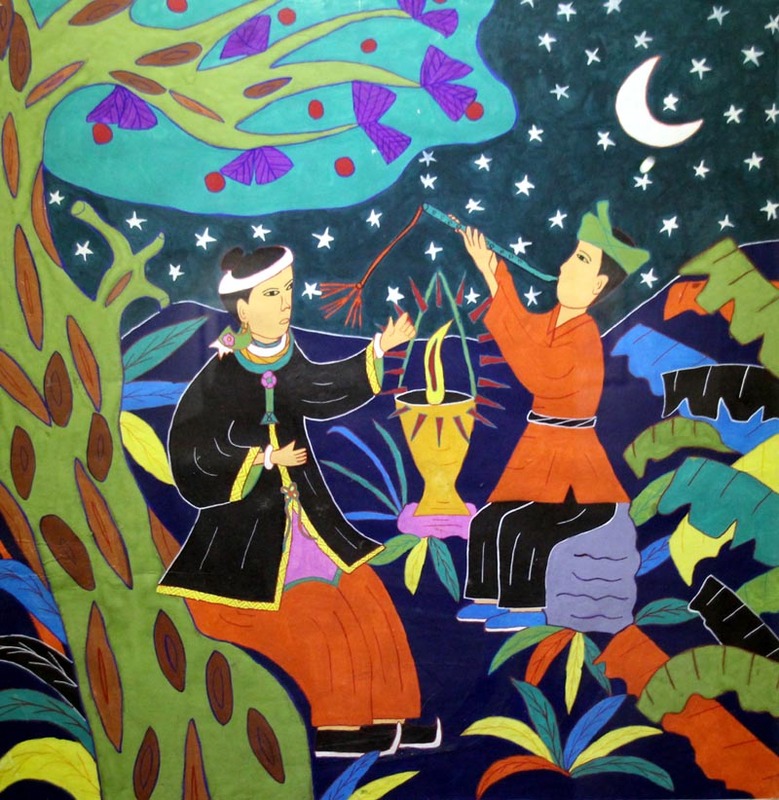 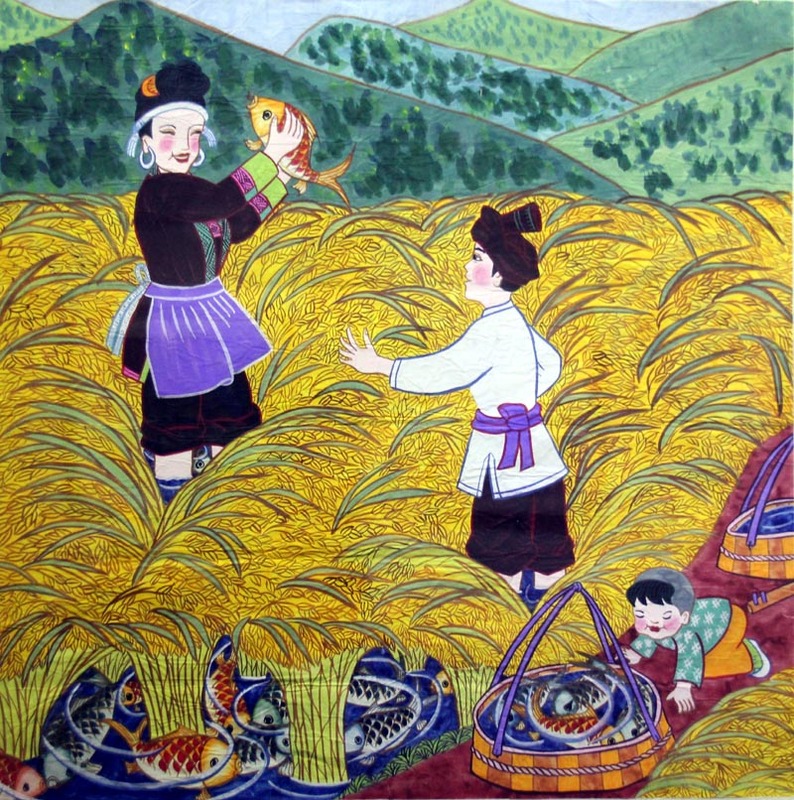 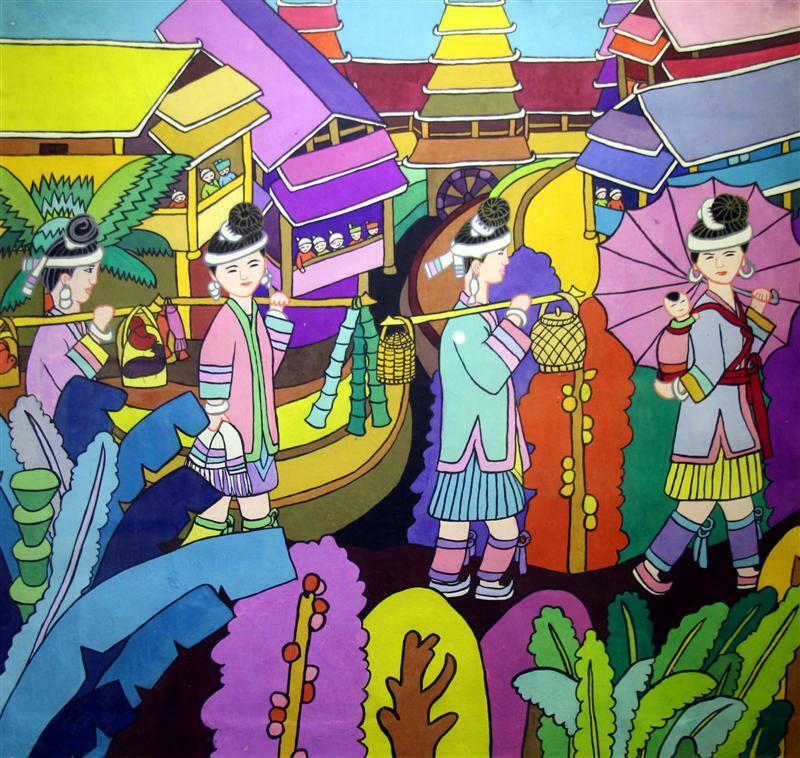 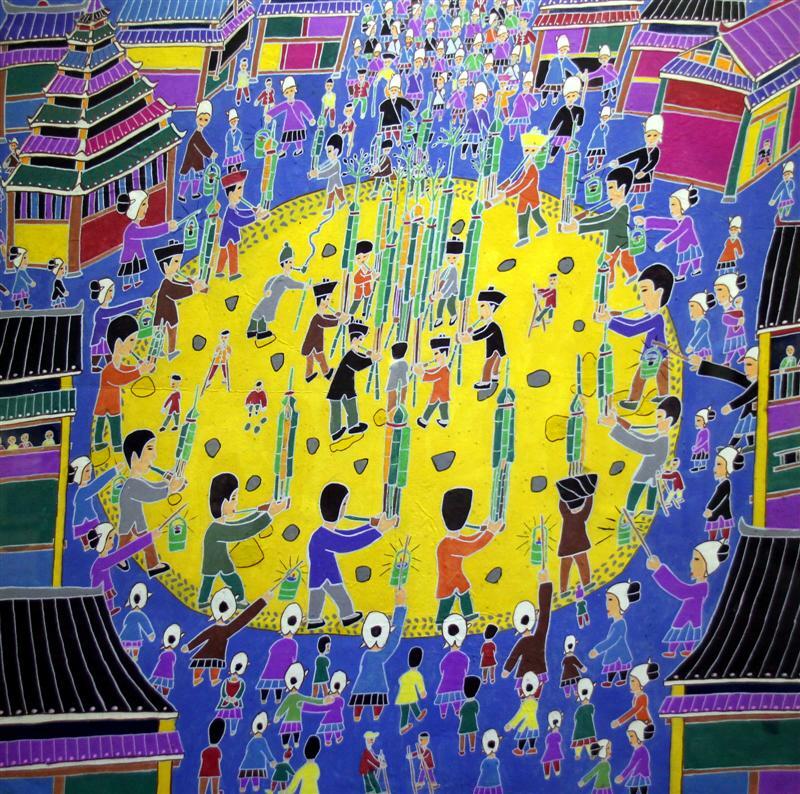 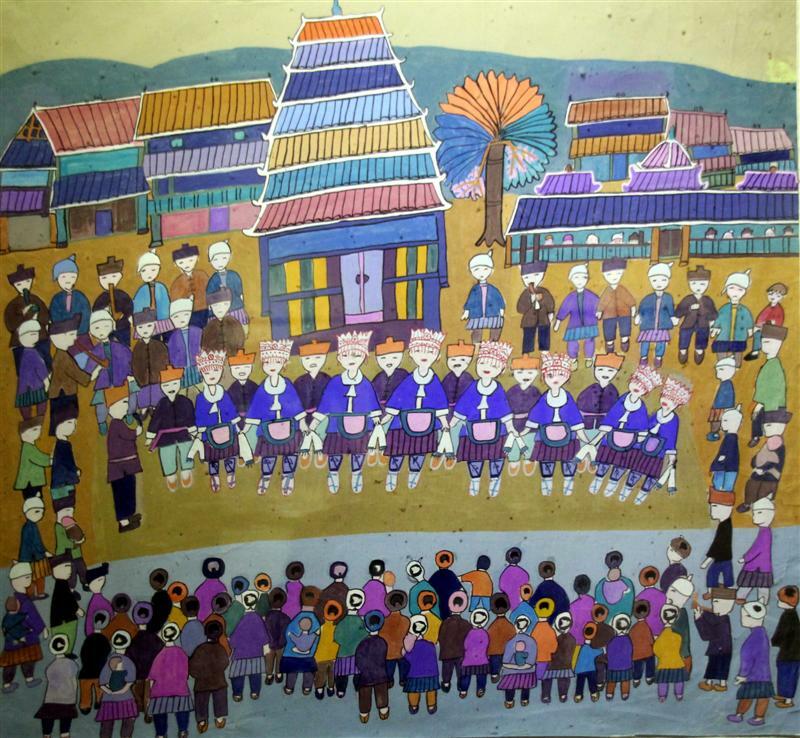 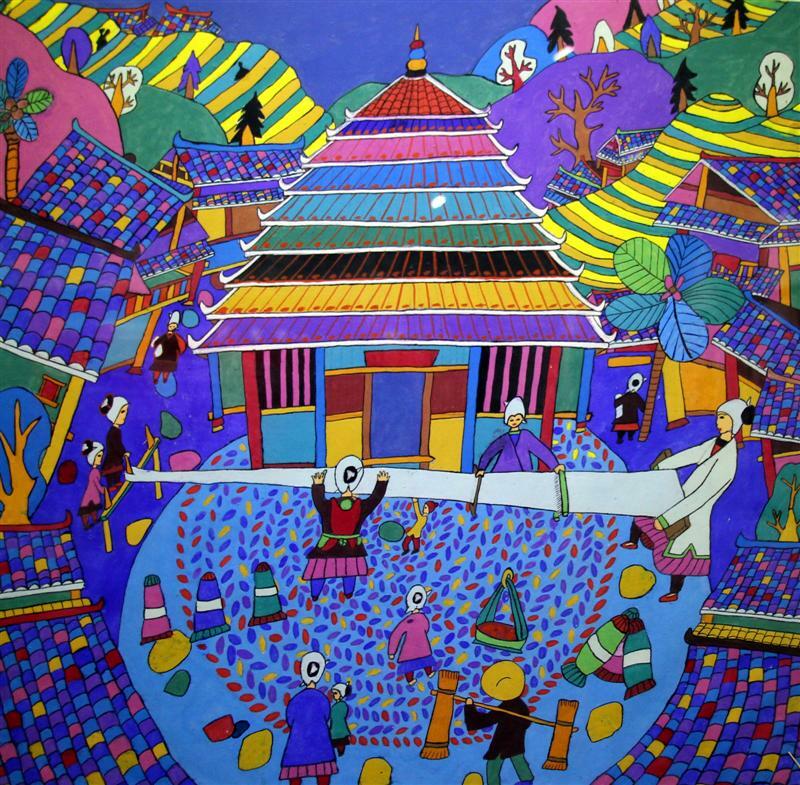 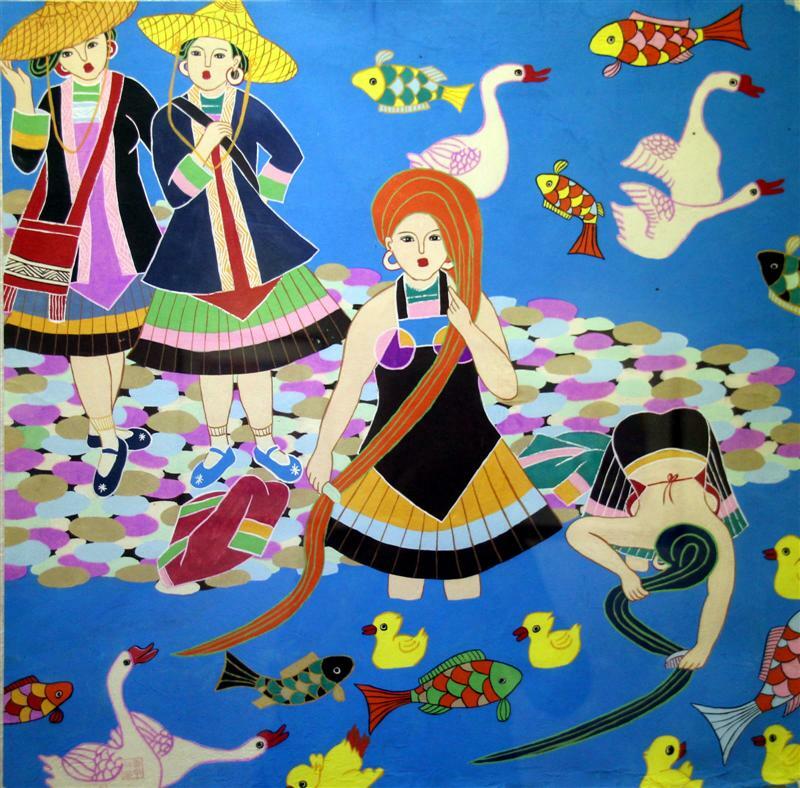 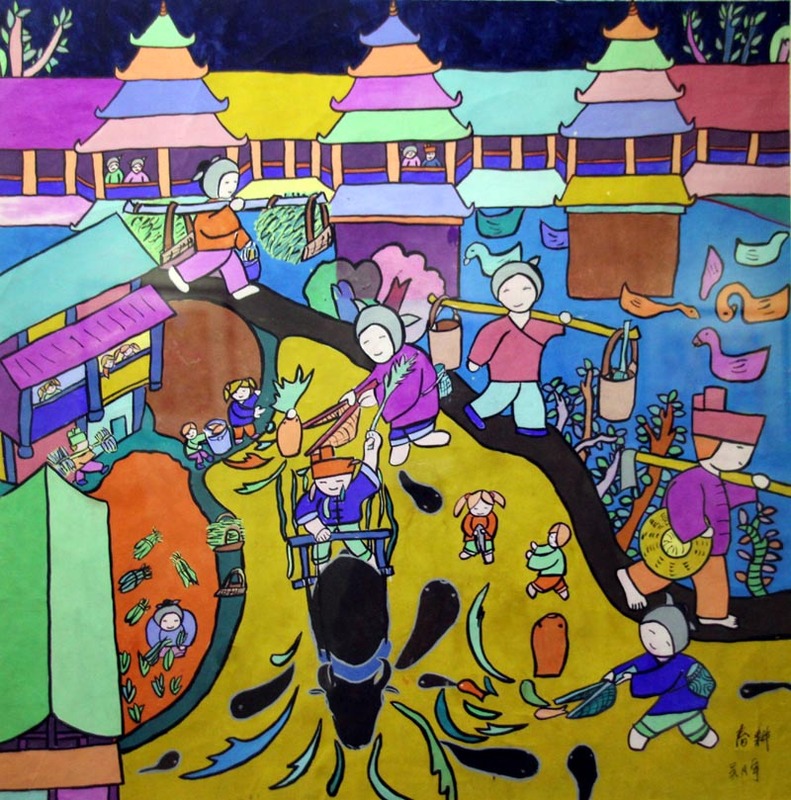 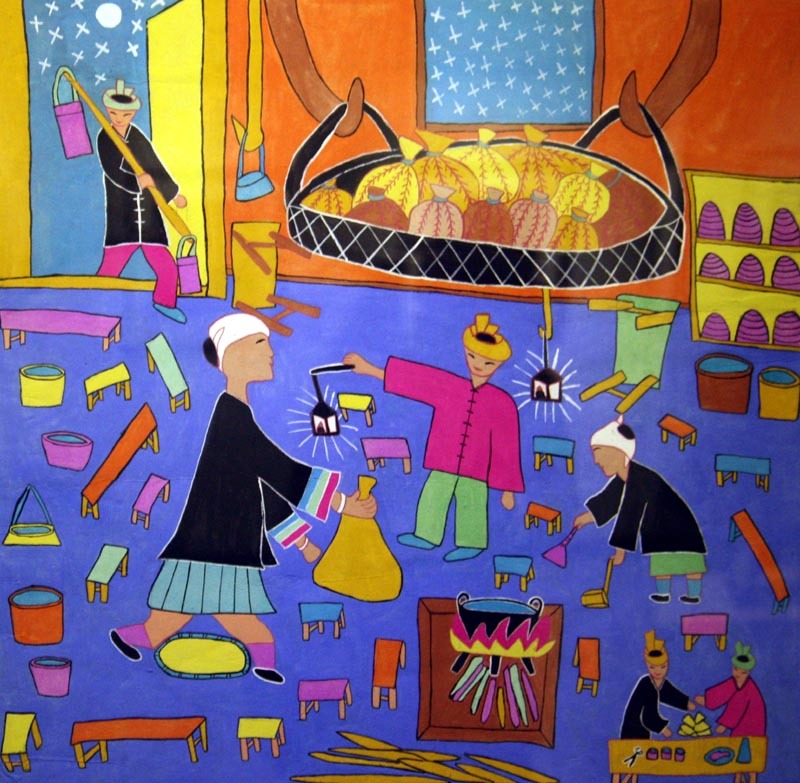 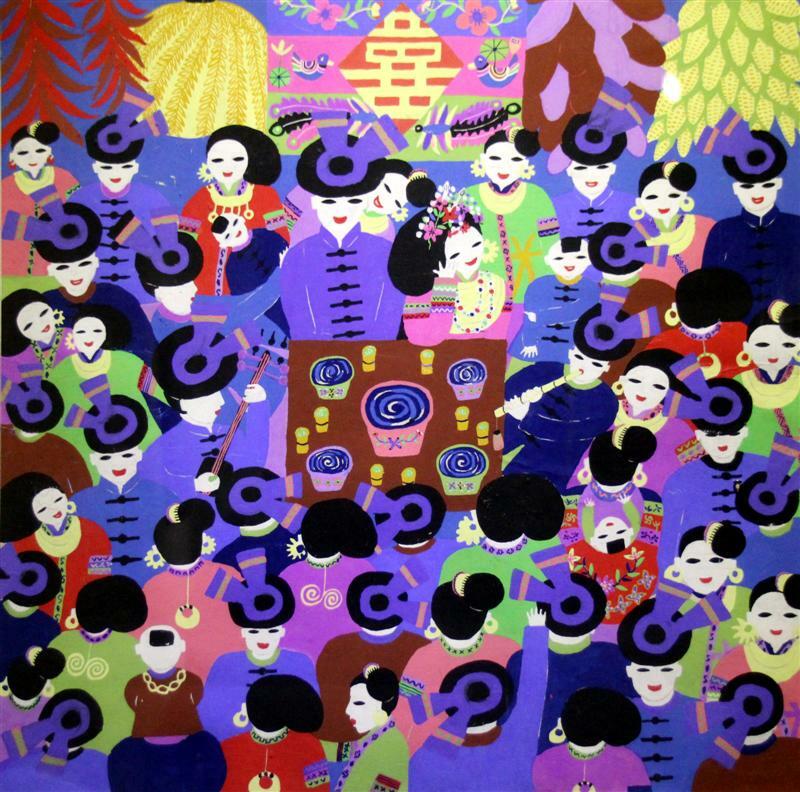 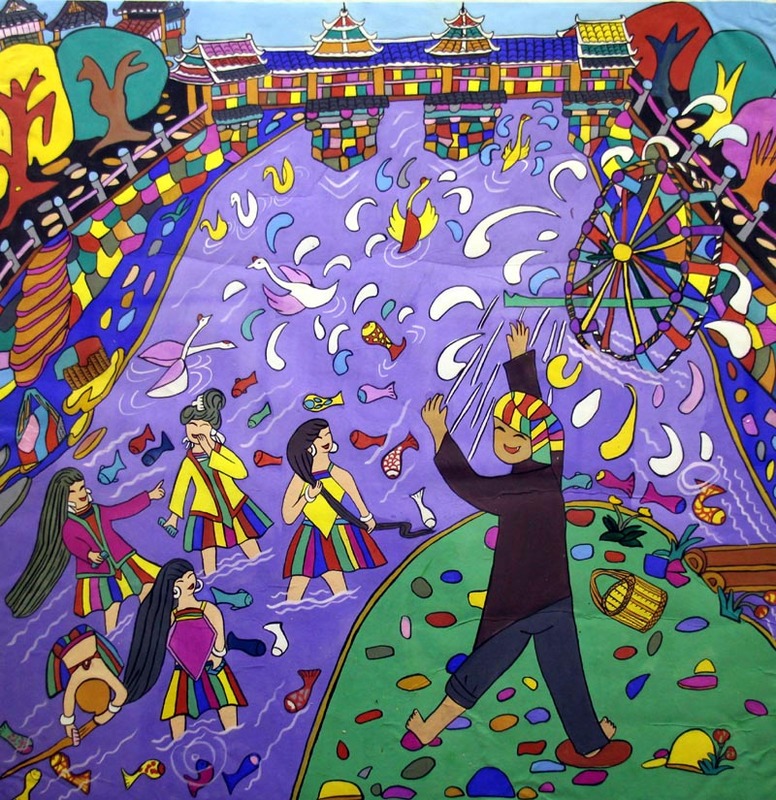 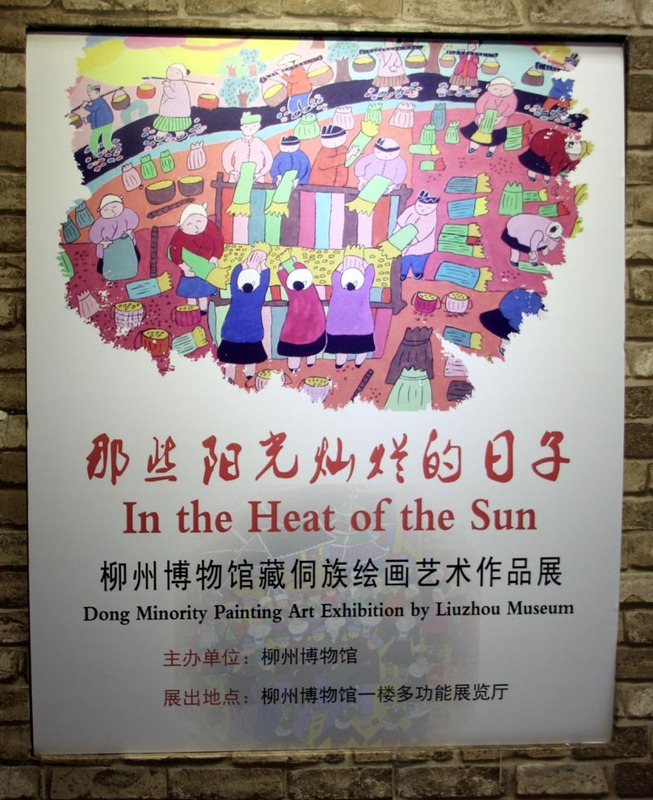 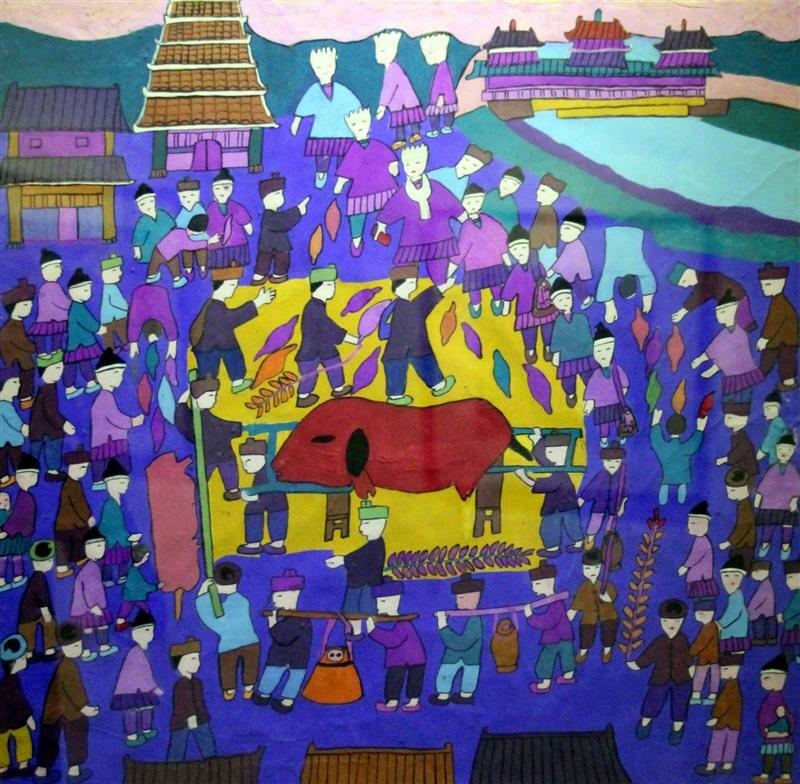 A selection of paintings from a recent exhibition of art by the Dong ethnic minority (侗族) who live in Sanjiang in the north of Liuzhou prefecture. 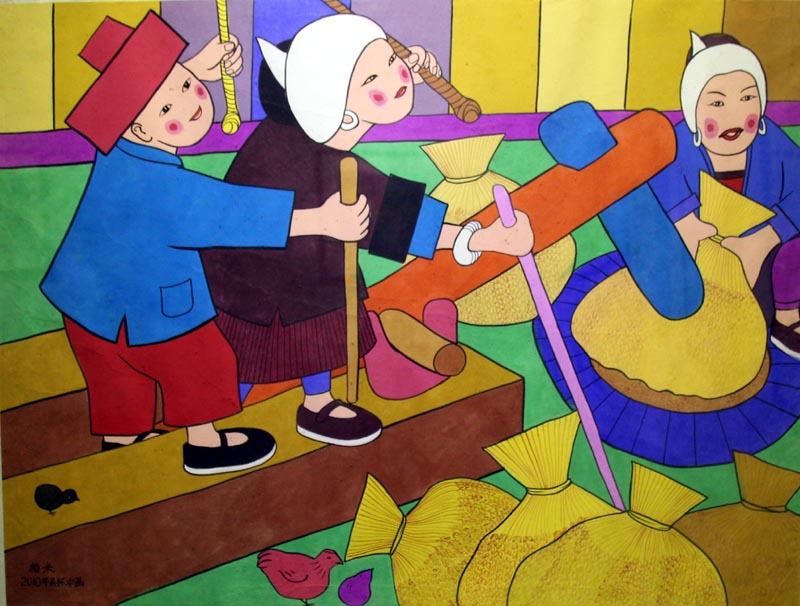 All captions and explanations are mine, as are any errors. 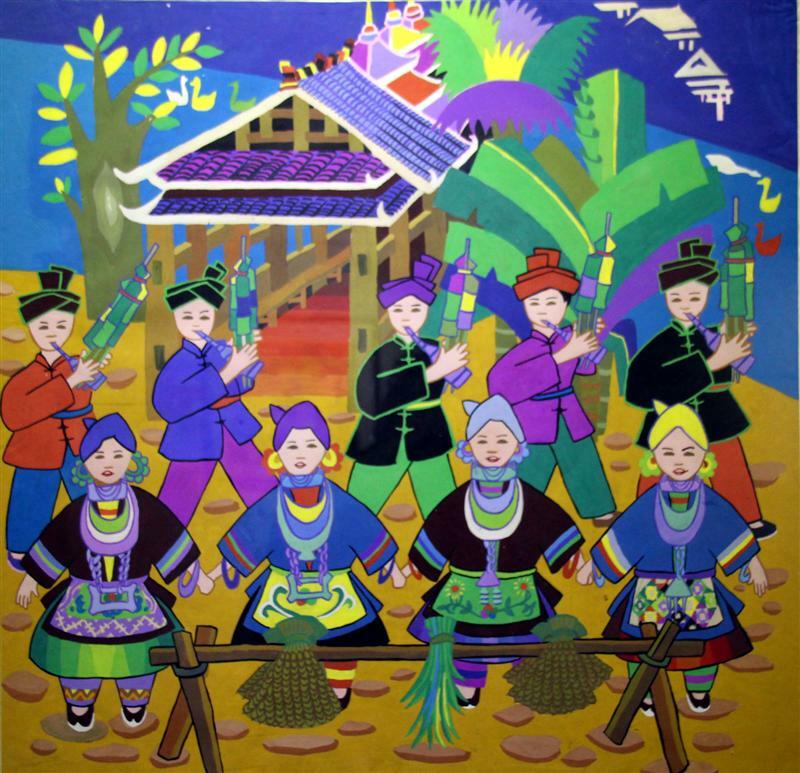 The Lusheng is a traditional wind instrument played by the Dong and Miao ethnic minorities. 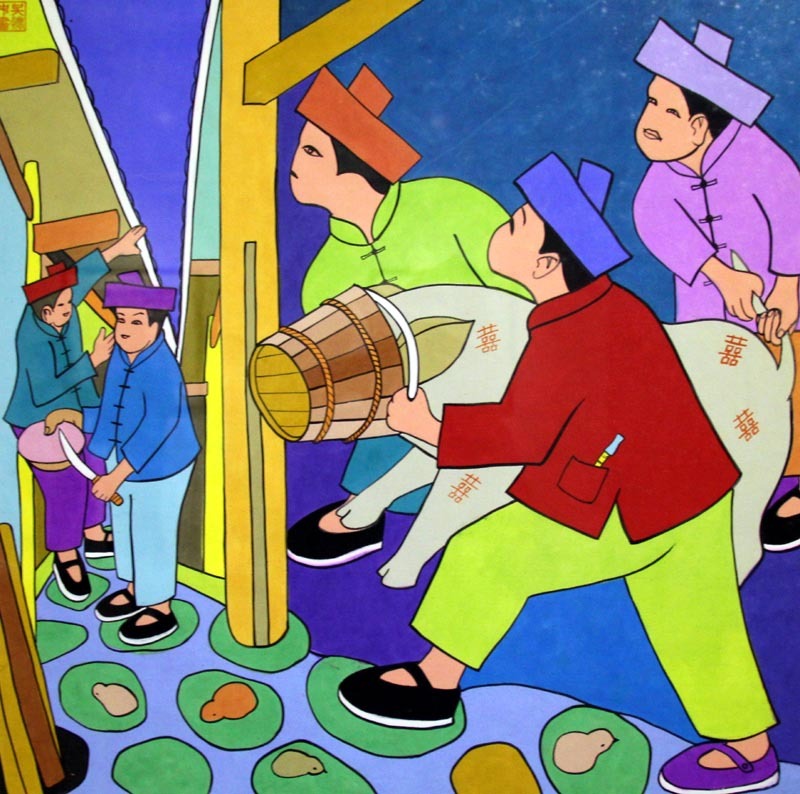 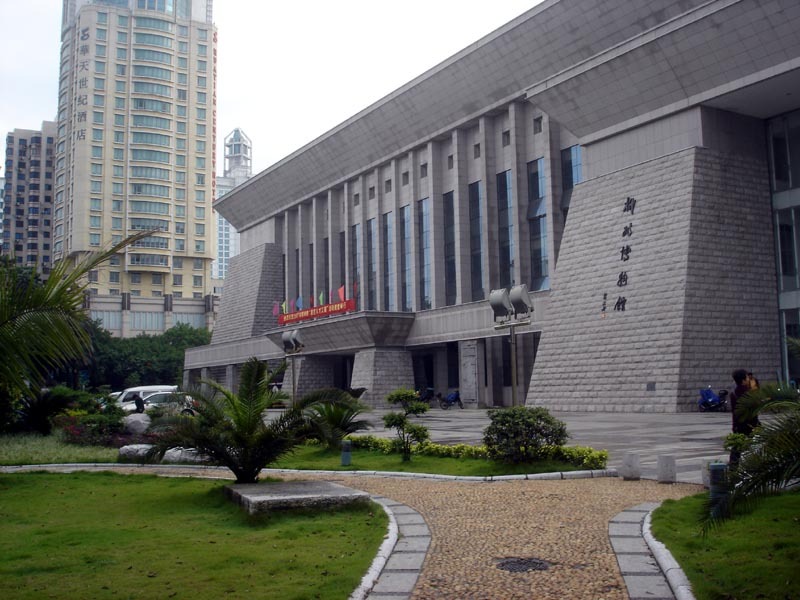 The Dong people are known for their wood-working skills. 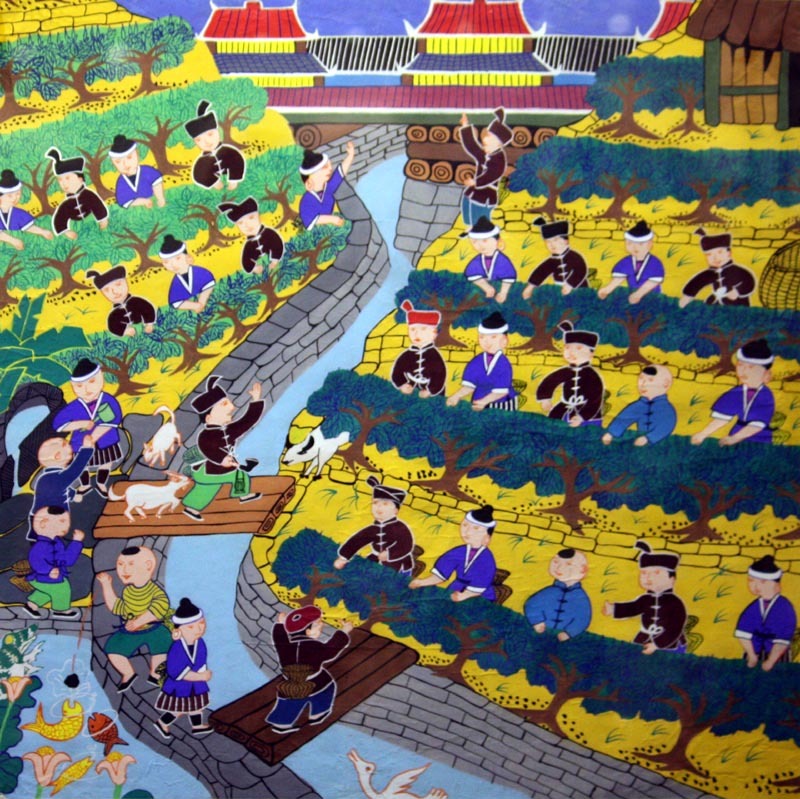 The Chinese character (top left) is 福 which means good fortune, blessings or happiness.